The town council has asked us to remind people that the closing date for applications for grants for voluntary bodies is on 1 September. Application forms are available from the Guildhall – you can either get one in person, or by emailing cntc@btconnect.com. 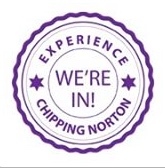 This entry was posted in advert, local services, news and tagged application, Chipping Norton, Chipping Norton Town Council, grants, Guildhall, voluntary bodies. Bookmark the permalink.